XPR precision balances deliver the accurate results you need as the foundation for your analyses. Beyond outstanding performance in any environmemt, XPR balances support consistent processes and the highest requirements for data integrity and compliance. 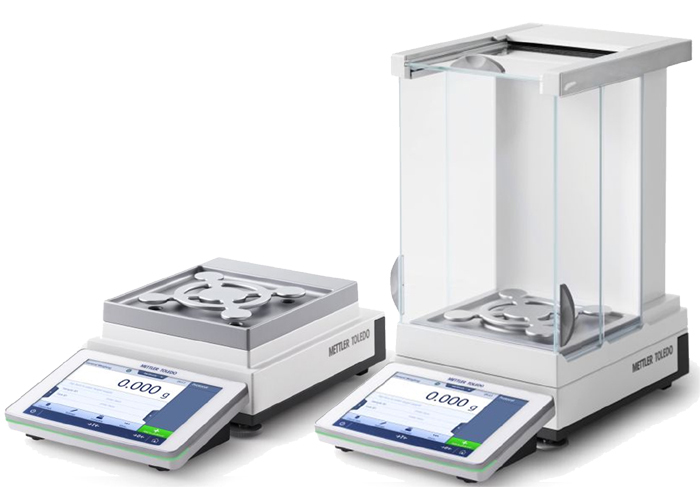 XPR precision balances deliver outstanding weighing performance and support the highest requirements for data integrity and compliance. Accurate Analytical Results - XPR balances deliver the accurate weighing results you need as the foundation for your analytical results. Flexible Solutions - Innovative features and easy-connect accessories peripherals meet the needs of almost any application. 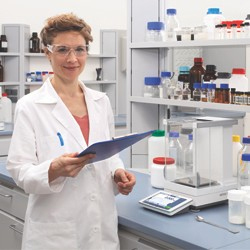 Connect to LabX software for the ultimate in flexible, compliant weighing. Outstanding Performance in any Environment - When you’re under pressure to deliver the outcome of your analyses, XPR precision balances provide you with fast and accurate weighing results, even under the toughest conditions. Fast and accurate results - The extraordinary stability provided by SmartPan means you get your results up to twice as fast compared to a standard weighing pan. Even when weighing in a fume cupboard or a challenging production environment, repeatability is improved up to two-fold. Fewer process steps - Under standard conditions, even 1 mg readability balances with SmartPan can be used without a draft shield. In a fume cupboard, the draft shield doors can be left open during weighing-in. Process steps are reduced; weighing is faster and more ergonomic. A balance for every need - With readability from 0.1 mg to 1 g and capacity from 200 g to 64 kg, there’s an XPR balance to suit every application. 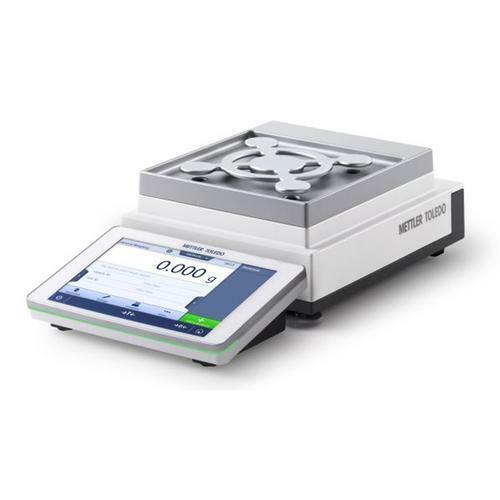 For example, this high performance 26 kg, 1 mg readability balance enables you to weigh larger samples with extremely high resolution and exceptional repeatability. Efficient Workflows - XPR balances help you achieve your targets by supporting you through your individual workflows, which you can save directly in the method library on the balance. Multiple connectivity options make it easy to connect peripheral devices, such as a printer or barcode reader. Efficient Workflows XPR Precision balances are extremely easy to use ,and integrate a full set of intelligent functions to help you to work better and faster. Intutive User Interface - The large, color touchscreen enables you to ‘swipe’ through menus and tasks just like your smartphone. Set up task shortcuts and use multiple fingers to efficiently type in data. The screen is operable even through thick, chemically resistant gloves. Stored Weighing Methods - To ensure consistent processes, store regularly used task methods in your own method library. Simply touch the method name to access all the details and then start the method. Also suitable for methods which include several samples or a test series. Built-in Result Notepad - You no longer need to record results by hand. All task parameters are recorded on the results notepad. Choose a simple or expanded list and even add your own comments. Transfer to a PC (USB port available) or print out to complete your documentation. Easy Compliance With a complete set of innovative quality assurance functions, XPR balances take the worry out of ensuring compliance. Simply set up the functions according to your individual requirements and you can rest assured that your results will be always be valid. Just after the first power-up , your XPR precision balance is ready to monitor all the relevant quality assurance parameter such as leveling , adjustment and balance readiness. Is it everithing in place? Just check the StatusLight! Balance Ready StatusLightTM - The StatusLight™ built into the front of the balance terminal uses color to let you see at a glance if the balance is ready for weighing to begin. The balance status is recorded against each weighing result to provide additional process security. 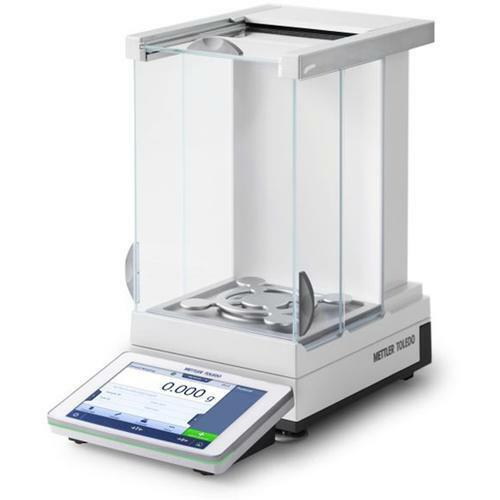 Safe Weighing Assured - The GWP Approved function actively monitors the balance status and ensures you always weigh within the safe weighing range. The on-screen icon is your reassurance of accurate, reproducible results. Ask us to activate GWP Approved in your balance. Valid and Traceable Results - Set up Tolerance Profiles to ensure weighing tasks meet defined quality requirements and regulations. An on-screen warning is given if results are out-of-spec. By using the same profile each time a specific task is carried out, consistency and traceability are assured. LabX software offers an all-round solution for laboratory data Management. Thanks to the capability to provide full SOP user guidance you can make sure that all users follow the same procedures. LabX can also manage QA functions, including scheduling routine tests and blocking the balance from use if necessary. All results and process information are automatically saved in a central database. This ensures traceability and assists with FDA 21 CFR part 11 compliance. XPR balances are designed to withstand accidental overload, harsh chemicals, dust an dirt. The integrated overload protection safeguards the weighing cell against accidental overload. Protecting covers combined with a full metal housing protect against dust, splashing liquids and harsh chemicals. Smooth surfaces and rounded edges make the whole balance easy to clean.